You want instant, easy access to millions of songs, thousands of radio stations and all your stored music any time you want it. And you don’t just want to hear it; you want to really feel it. Especially for holidays and big get-togethers you love to host. The SoundTouch 30 wireless speaker delivers, with proprietary waveguide technology and high-performance drivers to fill your largest rooms with deep, rich, true-to-life sound. What if you want to play a podcast in one room and stream music in another room? Or two? Or three? 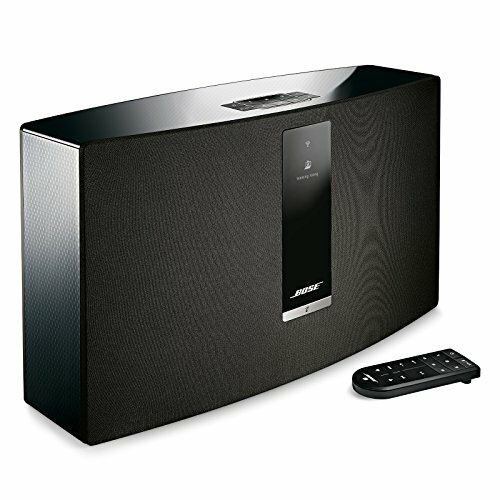 With SoundTouch, you can create a system of multi-room wireless speakers throughout your home. Start with one and add more later. Each speaker works with your home Wi-Fi network and Bluetooth devices to play the same music in every room or different music in different rooms. 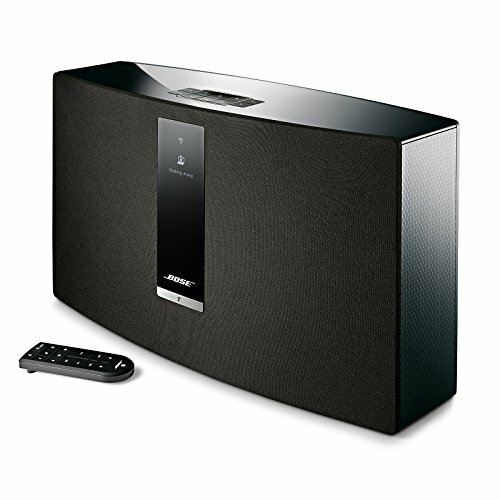 And only SoundTouch lets you find your favorite music faster, with six presets on the remote or the speaker itself. Love the Amazon Echo Dot? So does SoundTouch. Just pair your speaker with the Echo Dot and use your voice to play music, get your news, manage smart home devices and more. 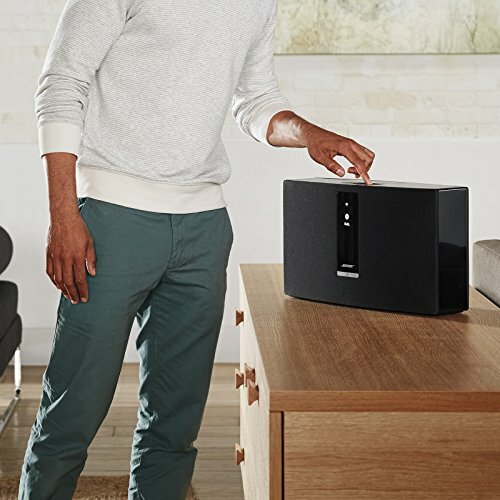 You can skip right to the fun part, because setting up your SoundTouch couldn’t be easier. Just install the free SoundTouch app on your mobile device, plug in your speaker, connect your device and control it all with the app and an intuitive remote. With the new Bose Skill for Alexa, you can now enjoy hands-free voice control of your SoundTouch speakers using any Alexa-enabled device – like the Echo Dot. It’s easy. Just open the Alexa app. Search “Bose” under the Skills menu. Follow the simple steps. And ask away. 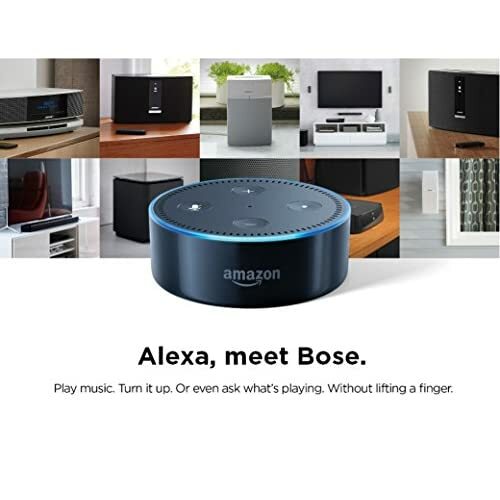 COMMON COMMANDS Alexa, ask Bose to play. Alexa, ask Bose to play in the kitchen. Alexa, ask Bose to play everywhere. 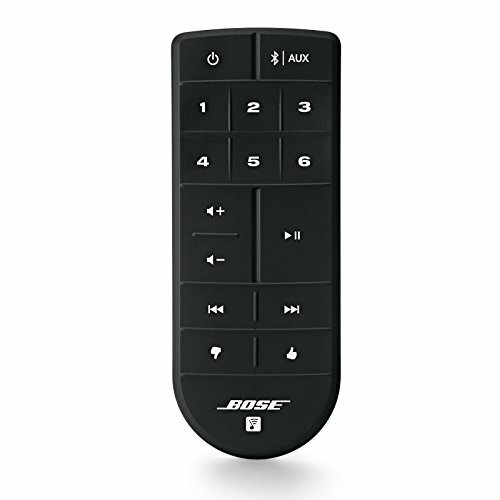 Alexa, ask Bose to play Preset 1. 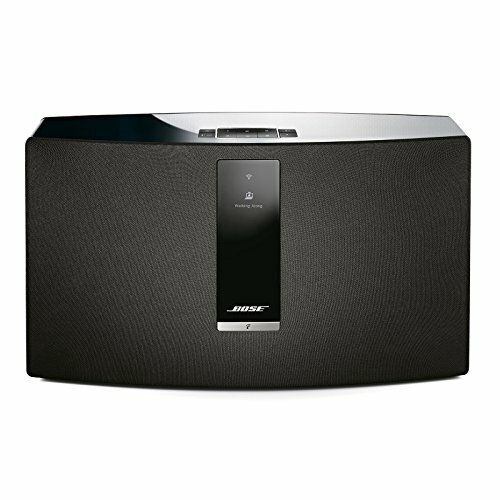 Alexa, ask Bose what’s playing. Alexa, ask Bose to turn up the volume. Alexa, ask Bose to pause.